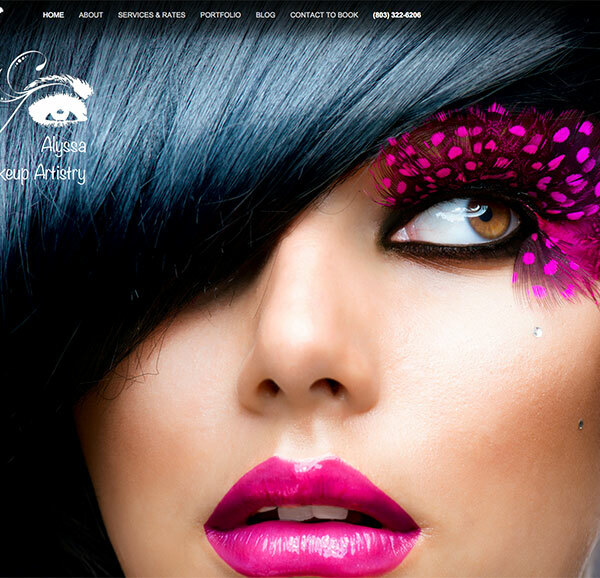 Highly visual site built for a make-up artist in Charlotte, NC. 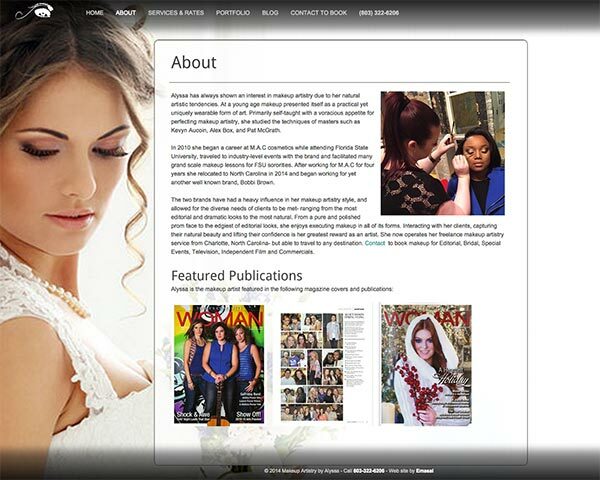 Alyssa wanted to showcase her work in style and be able to post articles to her blog. A large portion of the cost was spent on researching, purchasing and modifying the stock images used for the home page slider and the different page background images.